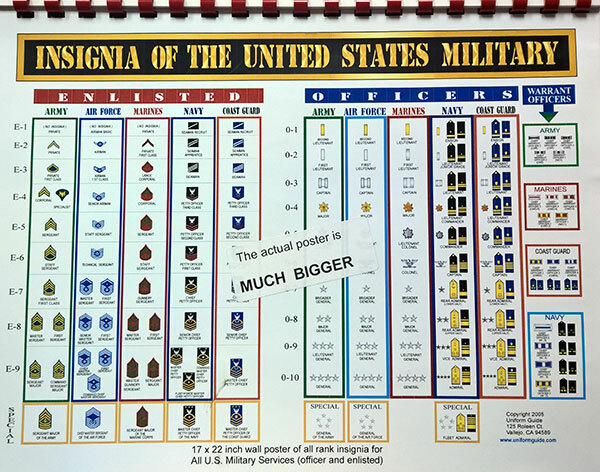 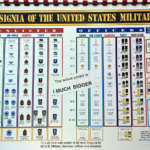 INSIGNIA CHARTS: An 8 1/2” x 11” color chart of the insignia of the United States Military. 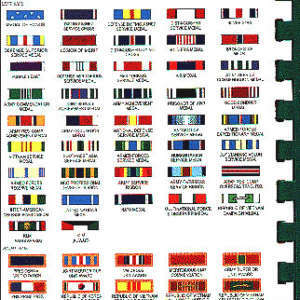 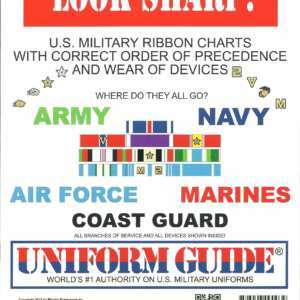 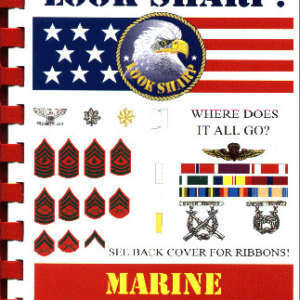 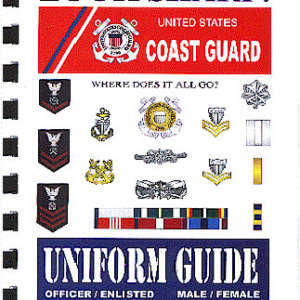 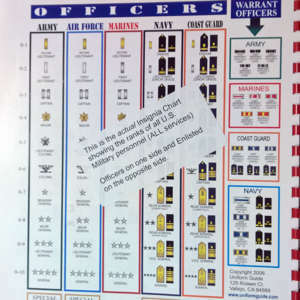 Each chart shows the rank/rate insignia for commissioned officers, warrant officers, and enlisted personnel in all five branches of the service (Army, Air Force, Marines, Navy, and Coast Guard). 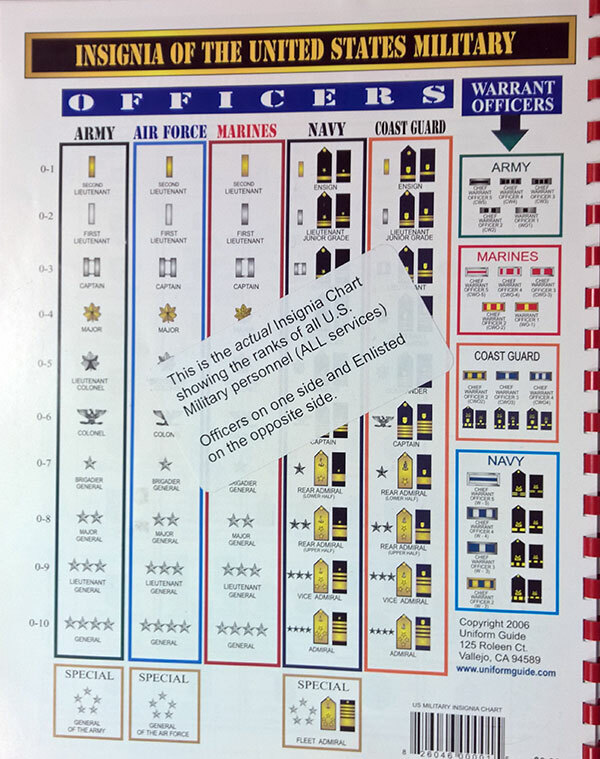 The chart is two sided with one side illustrating officer insignia and the other side illustrating enlisted insignia.